Starting today, we'll have extensive coverage of the American Booksellers Association's Winter Institute 2019, held this year in Albuquerque, N.Mex., which begins officially this evening with a welcome reception (co-sponsored by Shelf Awareness!) and runs through Friday. As usual, our coverage will extend for the next several weeks since there's just so much going on. Many of us from Shelf Awareness are at Wi14, and we hope to see you! Bookseller attendance is up again this year, to 710, representing 388 stores, and, as has been usual in recent years, a significant number (202 this year) are first timers, especially from established stores whose owners and managers are staying home in order to allow more staff members to experience Winter Institute. International attendance is also strong: some 50 participants from 11 countries, including Russia for the first time, are expected at the Winter Institute. Oren Teicher at last night's reception for international attendees. 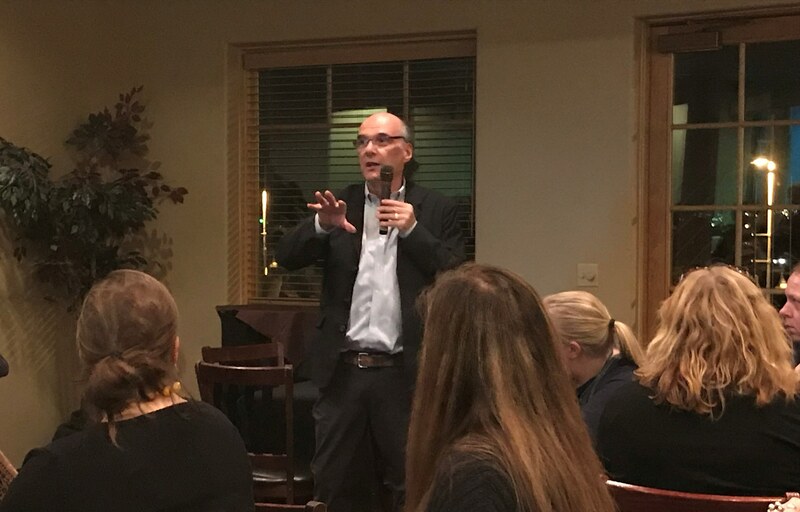 Noting that many younger and new booksellers are again in attendance, ABA CEO Oren Teicher said, "The torch is being passed to a younger generation of booksellers, owners and managers. There's nothing more exhilarating and exciting to us to observe way there is new generation in this business operating stores all across the country. Nothing speaks more clearly to the long-term viability of booksellers." Those younger booksellers also come to the Winter Institute "with all kinds of ideas and enthusiasm," he continued. "They look at the business with a slightly different hue of glasses, with a new, fresh approach." Teicher also noted that one of the most appealing parts of the Winter Institute continues to be simply creating the setting for booksellers and others "to get together and have conversations in the hallways, in the lobbies, in the bars, and share best practices." He called it "the secret sauce of why things work as well as they do. People are really smart about hearing, absorbing and taking new ideas from there to their stores. 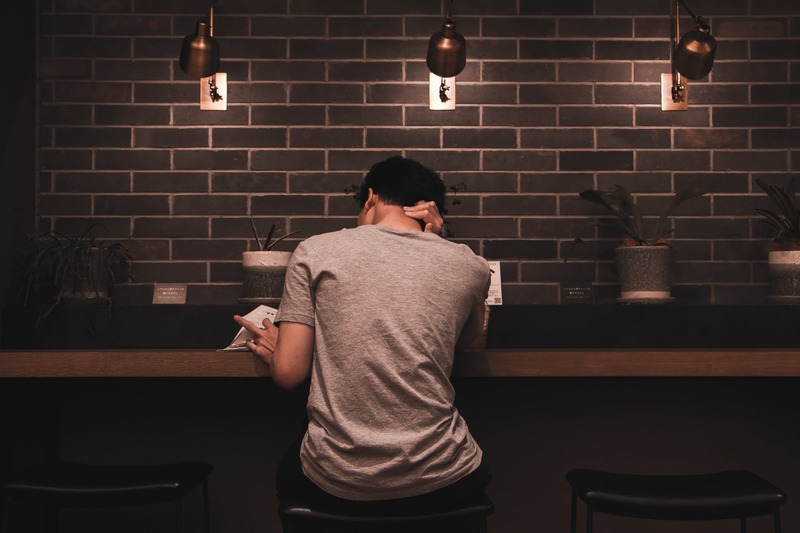 Many leave with two or three actionable items they can do at their store that will have an impact on their business." 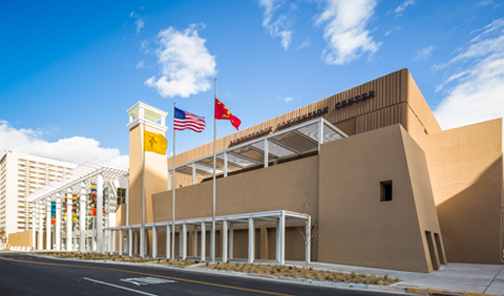 For the second year in a row, the Winter Institute is being held at a convention center and, for the first time, there is no headquarters hotel (registration will be at the convention center). "It's a newer, nicer version of the facility we used in Memphis," Teicher said. "It's laid out in a rational way," and the Winter Institute hotels circle it. Like the 13 prior Winter Institutes, this one promises to be engaging, informative and energizing. Among the 154 authors on hand are Margaret Atwood, who will speak with author Erin Morgenstern; and Hanif Abdurraqib, author of Go Ahead in the Rain: Notes to A Tribe Called Quest (University of Texas Press), who will deliver a keynote. ABA CEO Oren Teicher emphasized that the authors are a mix of "superstars like Margaret Atwood" and lesser-known authors who "may be the next Margaret Atwood." He added that the ABA is "delighted with the number of authors who will be in attendance with Indies Introduce program." Sessions cover everything from the nuts and bolts of bookselling to selling international and diverse books; building successful relationships with landlords and with publishers; partnerships and programs to empower women; how to boost preorder sales; the importance of James Baldwin; selling board games; graphic novels; mixing bookstores and bars; and a salute to New Mexican authors. This year, in another first, the ABA will livestream all plenary sessions for booksellers who can't attend Winter Institute, as well as continue to record all sessions and make them available after this week. And in another first, the ABA will disseminate a code of conduct for the meeting that aims to be "as clear and unambiguous as we can about appropriate behavior in these kinds of settings." Teicher stressed that the code is "a work in progress. We continue to welcome suggestions for improvements to it." Among the early festivities was a reception last night for international guests at the Indian Pueblo Cultural Center. Today's schedule includes a daylong Paz & Associates workshop for prospective booksellers with some 30 attendees; several in-depth seminars, on staff management and human resources, merchandising design and used books; and the IndieCommerce Institute. In a similar vein, Hummingbird Digital Media, AdventureKEEN and Bookworks, the Albuquerque bookstore, have teamed up to offer attendees a free e-book copy of 60 Hikes Within 60 Miles, Albuquerque: Including Santa Fe, Mount Taylor, and San Lorenzo Canyon by Stephen Ausherman (Menasha Ridge Press). Ingram is sponsoring the first Indies by the Fireside event, from 11 a.m.-4:30 p.m. today in the La Sala room at the convention center. Ingram "invites everyone to relax and chat by the fire in La Sala with independent booksellers and publishers from around the country and the globe." And tonight the Bookshop Band will hold the first of several performances. 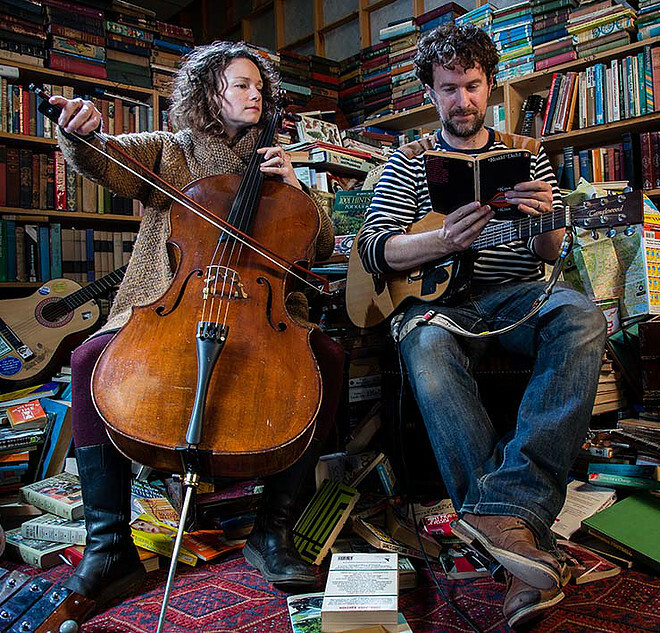 The band, formed in England in connection with Mr B's Emporium of Reading Delights in Bath, writes and performs songs inspired by books and by hundreds of authors, from Shakespeare to Philip Pullman. The duo has released 13 studio albums featuring many of the authors they have worked with, and has been performing in the U.S. in the run-up to the Winter Institute. During Wi14, a refugee book drive to benefit parents and children from Central America and Mexico is being held; donations of Spanish-language books are welcome. The drive was organized by Denise Chávez of Casa Camino Real Bookstore, Las Cruces, N.Mex., and is being administered by Border Servants Corps. Check out suggested titles here. Teicher praised Chávez for organizing the drive, and noted that "the politics of the movement will likely be part of the conversation in Albuquerque, which combines a rich cultural history involving Native Americans and Spanish-speaking people." As a result, it allows "that part of country to be front and center. It gives people from other parts of the country an opportunity to be exposed to something different." Dr. John Hutton and Sandra Gross, co-owners of blue manatee children's bookstore, Cincinnati, Ohio, announced in December that the shop would close January 14 after 17 years in business if no buyer could be found. The quest for a new owner has been resolved successfully. 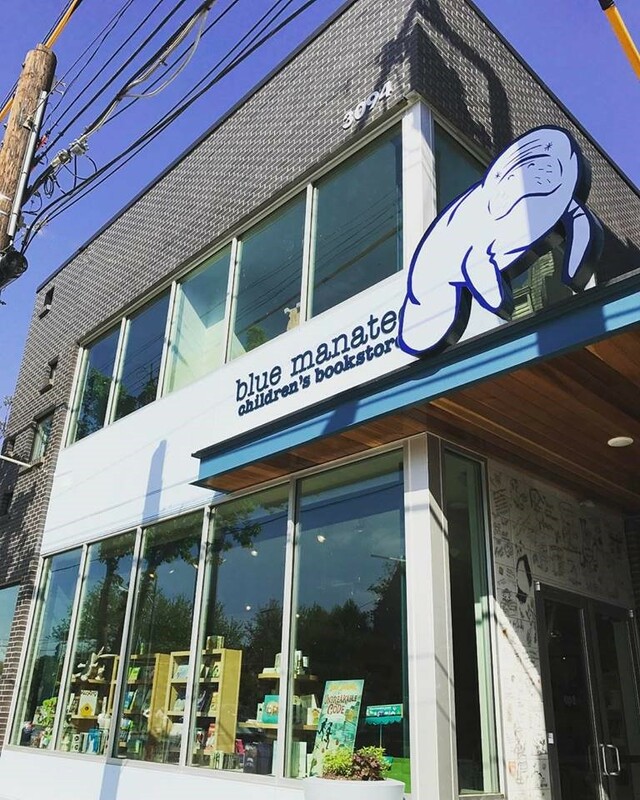 In an announcement posted on the bookshop's Facebook page, Hutton wrote: "After much soul searching, nail biting (manatees indeed have fingernails), and conversation with trusted friends and family, I am thrilled to announce that a new ownership team and structure for blue manatee has been selected!" More than 160 inquiries were received, "ranging from curious one-liners to heartfelt e-novellas" to "one particularly passionate 7.5-year-old who would have been my choice if it weren't for labor laws (thanks, Charlie Dickens)," Hutton noted. "Following a gauntlet of questionnaires, financial disclosures, and dialogue, we identified six finalists for formal interviews (one more than Charlie and the Chocolate Factory), all of them among the most amazing, passionate, articulate make-the-world-better people I have had the pleasure to meet. Thus, an incredibly difficult decision in that respect, but in terms of the vision for blue manatee and its higher calling, the path was clear." While final details are still being worked out, a formal announcement will be made "introducing the blue manatee community to our new 'Charlie Bucket(s)'--in the next couple of weeks. Our plan is for the store to hibernate for a bit as we restock and (re)assemble our 'ManaTeam,' with a tentative reopen date TBD (soonish). We hope that you will spread the word far and wide and support this new blue manatee and team! The plan is truly visionary, a veritable, hopefully everlasting, Gobstopper. Thank you for your support, patience, and passion during this process, and more to come!" "Is there anything that could keep you here?" 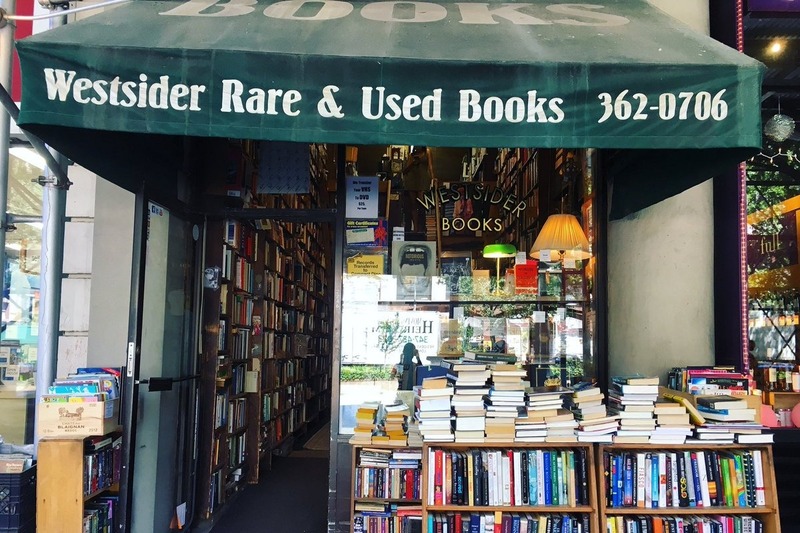 West Side Rag asked Dorian Thornley, the owner of Westsider Rare & Used Books in New York City, a week ago after he announced the shop would be closing. "I guess if somebody did a crowd funder and raised $50,000, I'd do it," he replied. "Don't see that happening though." Wildly enough, somebody did do a crowd-funder--and raised $50,000. In fact, the GoFundMe campaign raised $52,431 from 809 people, as of this morning, and Thornley will keep the store open. "The people have spoken," he told the New York Times. "We're all just bowled over." The money will be used to pay off back rent, buy inventory and market the store. Soft Opening for Downtown Book & Sound in Calif. Downtown Book and Sound, Salinas, Calif., held its soft opening this past weekend. Monterey County Now reported that owner Trish Triumpho Sullivan "had just completed a Masters degree in arts administration before the market crashed in 2008, and she found herself underemployed with time on her hands. She decided to open a visitors center, Destination Salinas, to champion the city as a destination." The venture evolved into a book and music store, which featured "gently used books for all ages and interests and new titles with an emphasis on local authors." "It turned out there was a big demand as more and more bookstores started closing," Sullivan said. The space, however, was cramped and poorly lit, and she kept searching for "a place that said bookstore." She found it at 213 Main St., and with her partner, Dan Beck, bought books and shelves from Logos Bookstore in Santa Cruz when it closed last year. Sullivan plans to keep the visitors center going under a new name (TBD) with wine tastings, a gallery, a new stage and live music daily. Nathan Glazer, "one of the country's foremost urban sociologists, who became most closely identified with the circle of disillusioned liberals known as the neoconservatives," died December 19, the New York Times reported. He was 95. "Glazer threw himself into the middle of heated debates over such contentious issues as race, ethnicity, immigration and education, contributing to a range of professional journals and popular magazines, and writing or editing more than a dozen books. He once said that he held positions often no different from those of many others, but that he was the one who would go to meetings and speak up." Early in his career, he co-authored "two seminal works on American society," The Lonely Crowd, with David Riesman and Reuel Denney (1950) and Beyond the Melting Pot, with Daniel Patrick Moynihan (1963). His other books include We Are All Multiculturalists Now (1997), From a Cause to a Style: Modernist Architecture's Encounter with the American City (2007) and The Neoconservatives: The Men Who Are Changing America's Politics (1979). He was also an editor at the magazines Commentary and The Public Interest, as well as Doubleday Anchor Books. Glazer "was never an entirely reliable neoconservative. He wasn't comfortable with the label, and on foreign policy he continued to describe himself as 'somewhat left,' " the Times wrote. "Yet there was an underlying consistency to Mr. Glazer's political and policy shifts. He had become a pessimist about the effectiveness of government programs and therefore a critic of much social policy. 'I know what I'm against,' he said." Last Thursday, the Book Industry Guild of New York (BIGNY) held its annual President's Night event, spotlighting Melville House founders Valerie Merians and Dennis Johnson. Pictured: (l.-r.) BIGNY vice-president Karen Romano; BIGNY president Martha Hanson; Merians and Johnson. 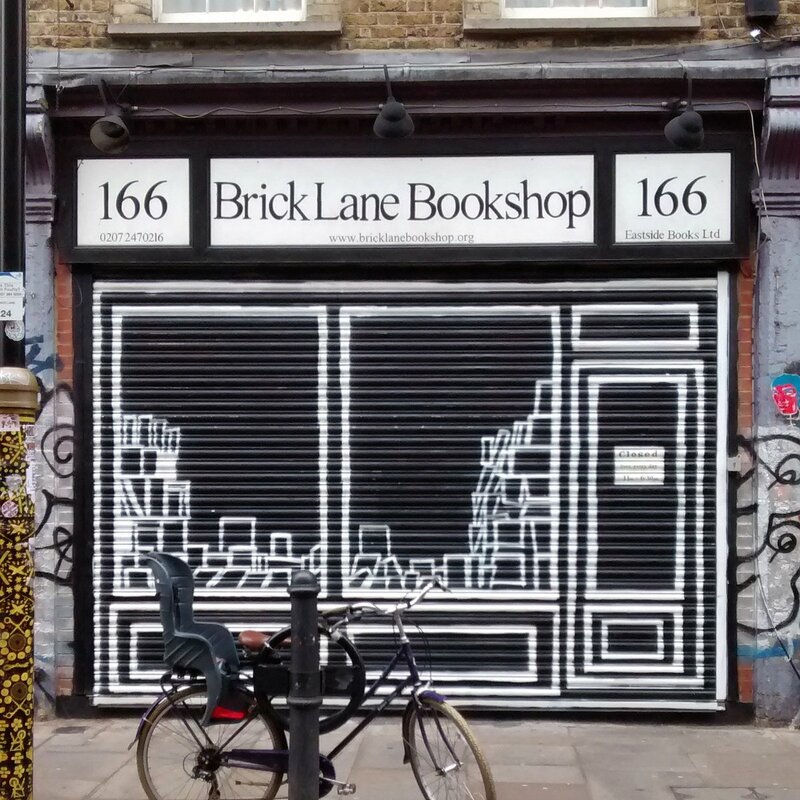 Brick Lane Bookshop in London shared a photo on Twitter of the unusual art on its new security shutter. The design was created by Candie Bandit, a "graffiti artist most notable for script lettering on shop shutters and walls." N.Z. Book Council Study: Why Are Kiwi Men Reading Less? "Are you, or do you know a bloke who doesn't like to read?" Noting that "our research last year showed that Kiwi men are reading less," the New Zealand Book Council is recruiting "a group of 12 men from a range of backgrounds, occupations and ages. You must be a reluctant or 'low-volume' reader who is happy to help provide insights into how to get more boys and men to read. "We expect to hold 3-5 meetings in a pub in Wellington throughout 2019. You'll be helping us in our mission to grow a nation of readers, and making a big difference to the future of New Zealand!" The Similars by Rebecca Hanover Kurzweil (Sourcebooks Fire). Today Show: Tony Dungy, co-author of The Soul of a Team: A Modern-Day Fable for Winning Teamwork (Tyndale Momentum, $26.99, 9781496413765). Fresh Air: Jason Rezaian, author of Prisoner: My 544 Days in an Iranian Prison--Solitary Confinement, a Sham Trial, High-Stakes Diplomacy, and the Extraordinary Efforts It Took to Get Me Out (Anthony Bourdain/Ecco, $29.99, 9780062691576). Today Show: Tommy Tomlinson, author of The Elephant in the Room: One Fat Man's Quest to Get Smaller in a Growing America (Simon & Schuster, $27, 9781501111617). NBC has given a pilot order to Lincoln, the drama based on Jeffery Deaver's book series featuring forensic criminologist Lincoln Rhyme, Deadline reported. 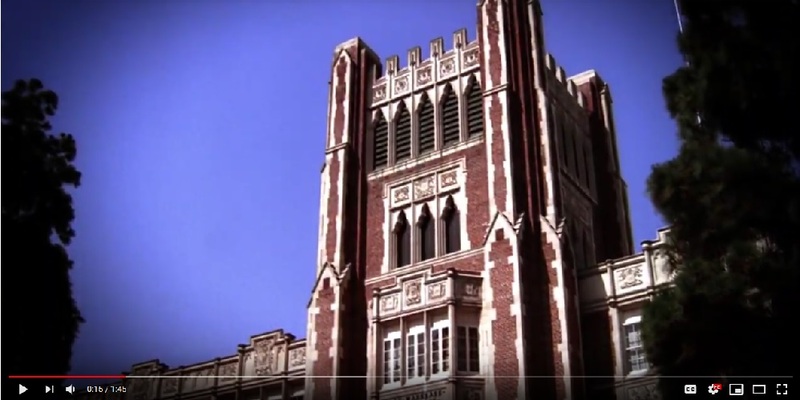 The Bone Collector, the first title in the series, had previously been adapted into the 1999 movie starring Denzel Washington and Angelina Jolie. The project is written by V.J. Boyd and Mark Bianculli (S.W.A.T. ), who will executive produce with Keshet Studios' Avi Nir, Alon Shtruzman, Peter Traugott and Rachel Kaplan. Finding Langston by Lesa Cline-Ransome (Holiday House) has won the $5,000 2019 Scott O'Dell Award for Historical Fiction, which honors "a meritorious book published in the previous year for children or young adults." The judges described Finding Langston this way: "Chicago brings culture shock for 11-year-old Langston, who moves there from Alabama with his father in 1946 after his mother dies. At school the other Bronzeville neighborhood kids call him 'country boy,' and at home the strange city noises keep him up at night. He's startled but delighted to find that his neighborhood hosts a beautiful library, and that, unlike the libraries back in Alabama that 'don't let in colored folks,' this one is open to all Chicago residents, serves its African-American community, and celebrates writers of color. Langston begins to find a Chicago home in the quiet welcome of that library, and his literary explorations lead him to learn more about his name--and even his family." Joyce Carol Oates is the recipient of the $10,000 2019 Jerusalem Prize, given to "international writers whose body of work assert the freedom of the individual in society." Oates will receive the award at the 2019 Jerusalem International Book Forum, the new name of the Jerusalem International Book Fair, held this year May 12-16. The jury members said in part that Oates "has created a rich body of literary work. Her creative work dictates new creative horizons and denotes a continuous breach of boundaries. Although her work is characterized by an unmistakable voice, she continues to surprise her many readers with the elaborate narratives she creates, as well as the thematic variations of her works." Half Gods by Akil Kumarasamy (FSG) has won the Story Prize Spotlight Award, given to an exceptional debut short story collection. The $1,000 award is separate from the Story Prize, which will be awarded this year on March 6. The Story Prize said that Half Gods is "a collection of 10 stories set in the U.S. and Sri Lanka that centers around a family that has a foot in each world. Although the book references the epic Hindu text the Mahabharata, these beautifully written and shaped stories are firmly grounded in the details of Kumarasamy's characters' everyday lives." The National Book Critics Circle has announced 31 finalists in the six categories of the 2018 awards, which will be presented March 16 in New York City. In related awards, the NBCC said that the Ivan Sandrof Lifetime Achievement Award has been won by Arte Público Press; Tommy Orange, author of There There, is the winner of the fifth annual John Leonard Prize; and the recipient of the 2017 Nona Balakian Citation for Excellence in Reviewing is Maureen Corrigan. Featuring as its epigraph the first half of Tolstoy's well-known aphorism about happy and unhappy families, Benjamin Markovits's eighth novel is a wise anthropological study of this most intimate grouping of human life. A Weekend in New York follows three generations of the Essinger family as they gather on the Upper West Side of Manhattan in the days leading up to tennis pro Paul's first-round match in the 2011 U.S. Open. Ranked No. 82 in the world and now approaching his mid-30s, Paul realizes his middling career is nearing an end. His older brother, Nathan--a Harvard law professor who's being considered for a job in the Obama Justice Department--has unhelpfully calculated his odds of winning at 1,200 to 1. So Paul divides his attention between the formidable task at hand and the urgency of making "the transition from player to former player gracefully and maybe even lucratively," with his girlfriend Dana, a former model, and their toddler son. Sisters Susie and Jean, occupying the second and fourth slots in the sibling lineup, come to the reunion ambivalent about secrets they have yet to share with the other members of the clan. Susie, accompanied by her 10-year-old son who's receiving his indoctrination to life among the Essingers, is pregnant with her third child, an event that will further retard her teaching career. Jean, on the other hand, is engaged in an affair with her married boss, a documentary film producer in London. For all his own success, patriarch Bill, an economics professor, has long felt himself "institutionally passed over for the kinds of honors he used to take for granted in his grade-getting days." His wife, Liesel, author of a well-received memoir about her German childhood during World War II, has never fully acclimated to life in the United States, despite raising four children in Austin, Tex. 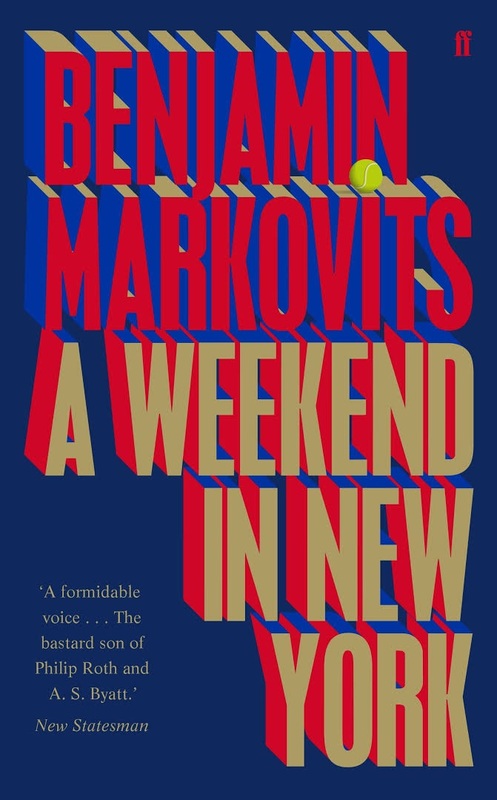 Shelf Talker: Benjamin Markovits smartly surveys the complex dynamics of life in one modern family.